Get this organisational tool to help you keep your workflow in order. Keeping focused on the work in front of you can be hard, especially if your mind has a tendency to start meandering off to all sorts of other thoughts. When you need to stay on task, you can trust Freeter Pro to keep you focused without stifling your creativity. Now you can get it on sale for just $9.99 (approx £7.50). Creatives – everyone from developers and coders to illustrators and graphic designers – have all sorts of incredible ideas floating around in their heads, but sometimes need help focusing on the tasks in front of them. Freeter Pro is the tool you need to keep you on task. This personal productivity app makes it easy to gather everything you need into a unified interface. Keep all those necessary files at your fingertips while also having access to all of the tools you need to get your work done. 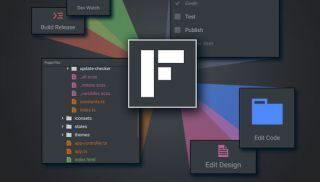 You can get Freeter Pro on sale right now for just $9.99 (approx £7.50). That's a 65% saving off the full retail price of $29 for a tool that will keep you focused when you need it most, so grab this deal today.